Here is what Sideshow Collectibles had to say about this tiny titan over on their OFFICIAL WEBSITE. 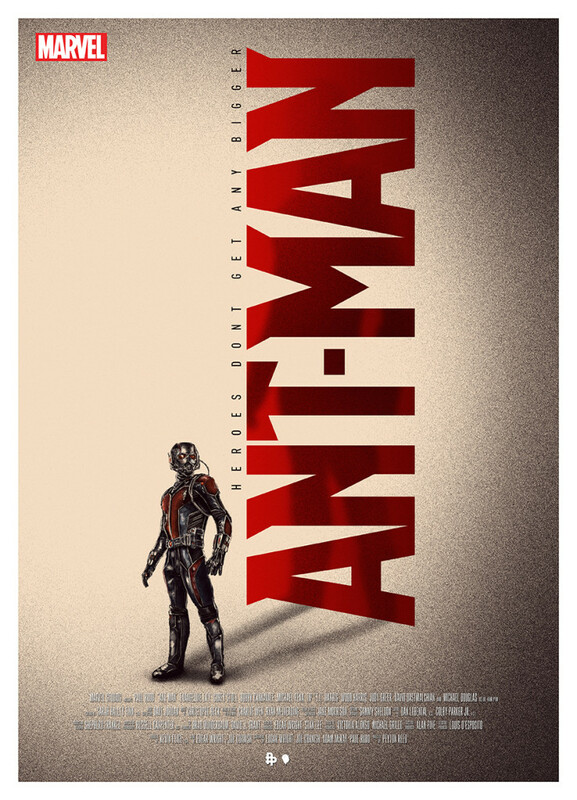 Marvel’s newest film in the Marvel Cinematic Universe, Ant-Man opens in theatres worldwide today! 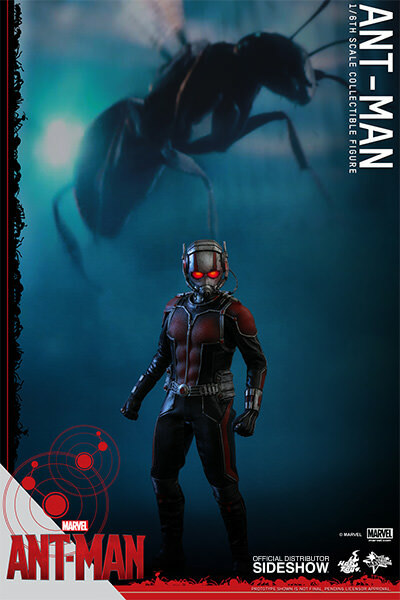 Our new hero, Scott Lang, will don the Ant-Man suit with the astonishing ability to shrink in scale but increase in strength. He must help his mentor, Dr. Hank Pym, save the world against Yellowjacket who uses the same technology as a weapon for evil. 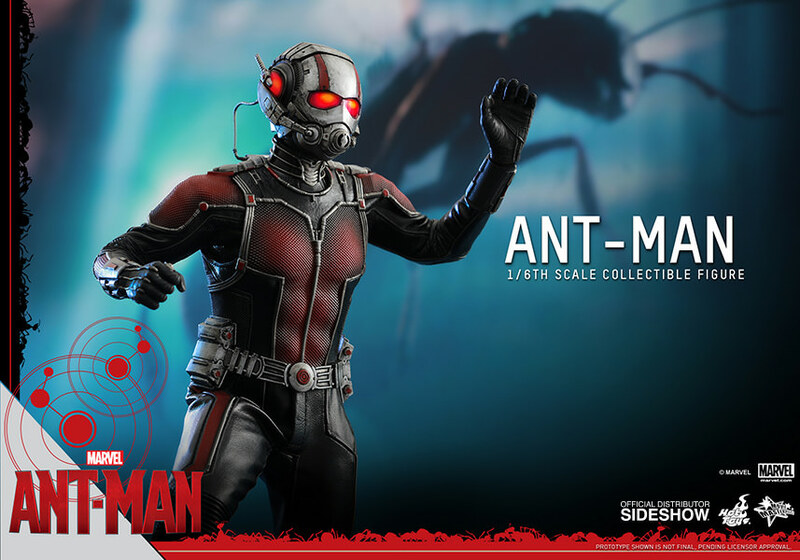 To celebrate the release of this new film, Sideshow Collectibles and Hot Toys are excited to present Ant-Man Sixth Scale Collectible Figure! 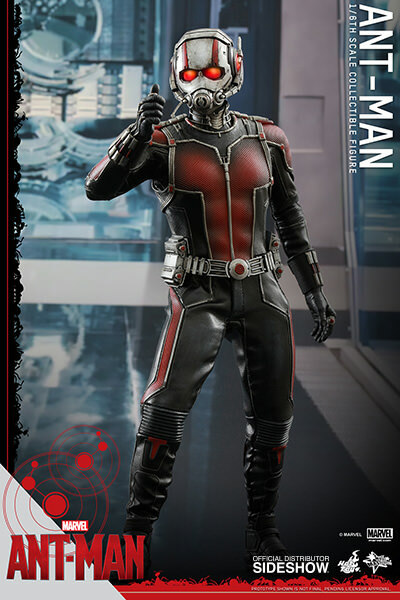 The movie-accurate Ant-Man Collectible Figure is specially crafted based on the film and features a newly developed helmeted head sculpt with an authentic likeness of Paul Rudd as Scott Lang. When closed, the helmet features LED light-up eyes. 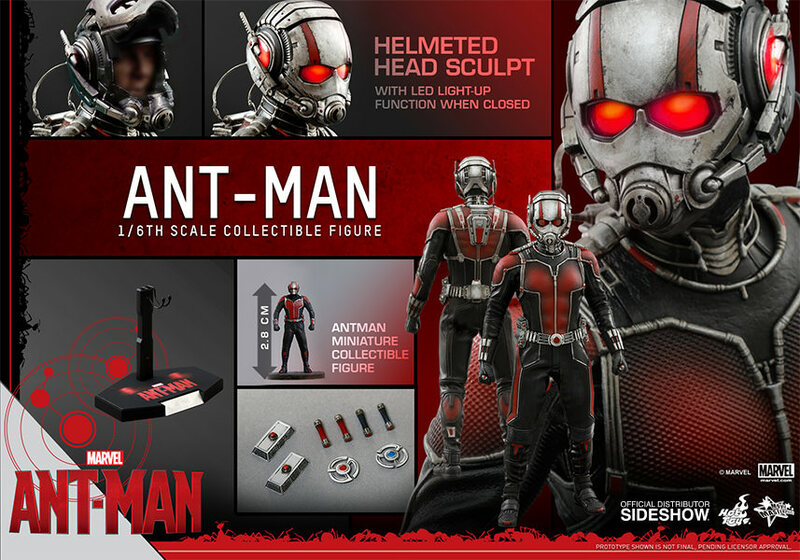 The Ant-Man also includes a specially tailored Ant-Man suit, an Ant-Man miniature figure, detailed accessories and a specially designed figure stand. We LOVE that LED feature on the helmet and the overall detail on the whole figure is breathtaking. CLICK HERE to preorder this figure today! 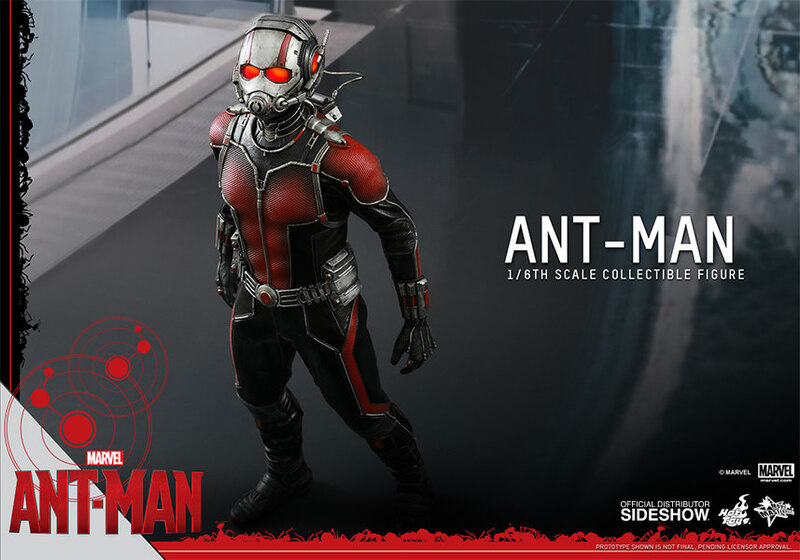 This entry was posted in Collectible, Marvel, Movies, Science Fiction and tagged Ant Man, Dr. Hank Pym, Hot Toys, Marvel, Marvel Cinematic Universe, movie accurate, Paul Rudd, Scott Lang, sideshow collectibles, sixth scale figure. Bookmark the permalink.